The Economic Development Without Displacement Coalition presents our first community movie night (at PLACE for Sustainable Living)! We'll be showing "Gaining Ground: Building Community on Dudley Street"--the 2013 film about the Dudley Street Neighborhood Initiative in MA. 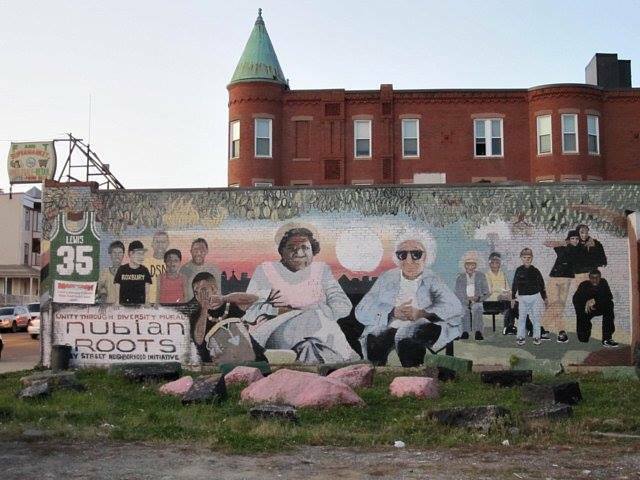 Dudley Street is a successful example of a grassroots community-led effort to revitalize an urban area by and for the existing, established residents. It very much shows the intention and potential behind EDWD's work. 7:30pm Mingling - Popcorn provided! This showing is a joint venture with the monthly North Oakland Restorative Justice Council Peace n' Justice Walk. Feel free to join the walk at 6pm from Bethany Baptist Church (5400 Adeline St, Oakland, CA) and walk together to the movie, or join us at 7:30pm for some snacks and mingling.